Thom Wilson is one of the workhorses of the OSR. Constantly producing high quality stuff and on time too. Thom's latest Kickstarter is Off the Beaten Path, desert Excursions. 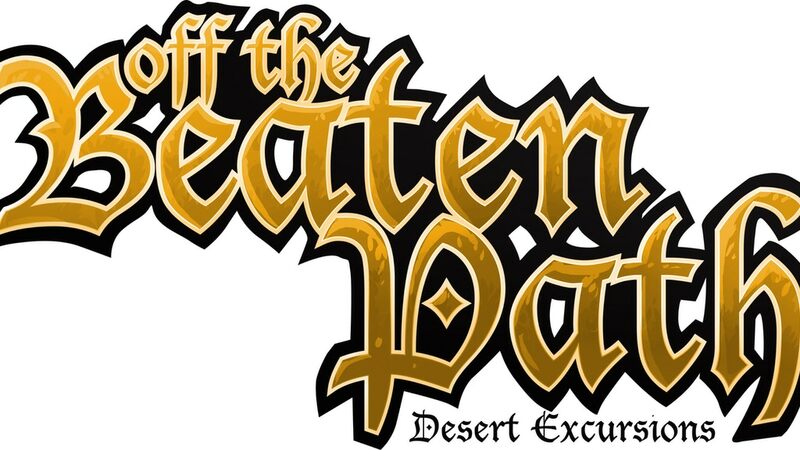 So, what is Off the Beaten Path, Desert Excursions? A minimum of twenty single or double page desert excursions to use as side quests or stand-alone adventures for your Fantasy RPG. There are over twenty-six pages of encounters found within dry deserts and desolate locales. As your player's characters travel through the arid wasteland, they will come across burial chambers, deserted villages, sunken towers, troublesome oases, and more! These adventures are a great way to add additional encounters during travel, or to handle an unexpected change in direction! You have a choice of Swords & Wizardry or System Neutral versions. PDF's are 6 bucks, at cost POD is 9 (you'll still need to pay the POD cost and shipping), 13 for PDF plus POD (where I'm at) and 18 for at cost POD in both S&W and System Neutral versions. Was working on something like this for Pyramid of the Lost King awhile back. I may have have to revisit it. Any reviews of the previous forest one anywhere?